Quarterly stories that are quintessentially Maine. Whether you want to climb a few of Maine’s famous lighthouses or climb a few thousand feet up Maine’s majestic mountains, there’s more than plenty of things to do in Maine. Pick the perfect Maine cottage or seaside inn for a serene escape, or follow the call of the wild at a campground or wilderness lodge. From the quaint to the modern, there’s a Maine resort for every style. Discover the iconic state of Maine with a lighthouse tour, a lobster boat outing, or a cruise along one of the four scenic byways. And whatever you do, get off the beaten path and savor the local flavor. 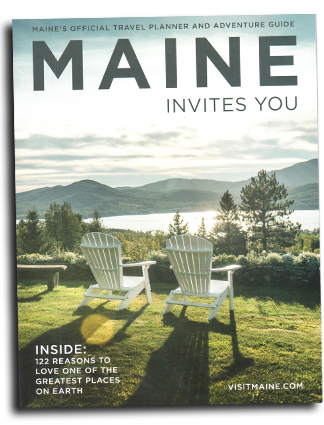 All the Maine Things in one convenient place. All the stuff in your inbox that makes you want to go out.